If you are a fan of japanese whisky you may have already heard of the mysterious Togouchi, a blend from Japan available in 12 and 18 year old, and there isn't much more information about it. But why is it a naturalized whisky? Since a decade, japanese whisky is booming with the rise of its two most famous brands: Suntory and Nikka, but also Ichiro's Malt and many others. The know-how build up over centuries by the japanese including the production of shochu alcohol distillation, pushed some traditional fine spirits producers to engage in parallel in the distillation of malted barley or grain and therefore in the production of whisky occasionally to Hombo Shuzo / March for example, or continuously for White Oak and its famous single malt Akashi. 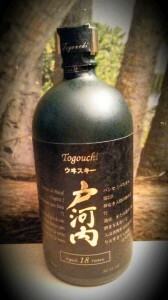 But among all japanese whiskies, one stands out for its originality and mystery: the Togouchi. Founded near the city of Hiroshima, Chugoku Jozo product since 1918 fruit liqueurs, sake and shochu which the best known are the Dharma and Songshan, a long aged shochu. Back in 1990 the company decided to try the production of a blend and, to be more precise, Chugoku Jozo does not distille whisky but imports it already distilled, directly from Scotland for malt whisky and from Canada for grain whisky. Only the operations of aging and blending are performed by Chugoku Jozo master blenders. The barrels of whisky are imported and then first stored in a foreign cargo area by the Japanese customs authorities until Chugoku Jozo performs the duties with paying the taxes and, somehow, naturalized the precious whisky contained in these casks. From that moment, the scottish and canadian whisky officially become japanese ! Once adopted by the company, the whisky is aged in sherry and brandy casks, in a unique location in the heart of the mountainous region of Nishi Chugoku Sanchi. This unusual place is a tunnel with a length of 361 meters drilled in 1970 by JR Japanese railway company, in order to expand the line up from Kabe to Hamada in Shimane. But the project never came to reality and the tunnel now owned by the hall of Togouchi village has attracted the interest of Chugoku Jozo, especially for its ideal conditions for aging shochu and whisky with a constant temperature of 14°C and a humidity of 80 %. The Togouchi is a blend grading 43 % ABV, made ​​from imported malt and grain whisky, aged in a tunnel then blended with all the know- how of the master blenders of Chugoku Jozo and diluted with spring water drawn from the heart of the mountains of the Sandankyo Natural Park. It's available in a peated 12 year old and a no peated 18 year old versions, and will be soon released in a no aged premium version. To the success of his blend, Chugoku Jozo has recently filled fifty barrels to age in the tunnel to keep on the production of whisky. 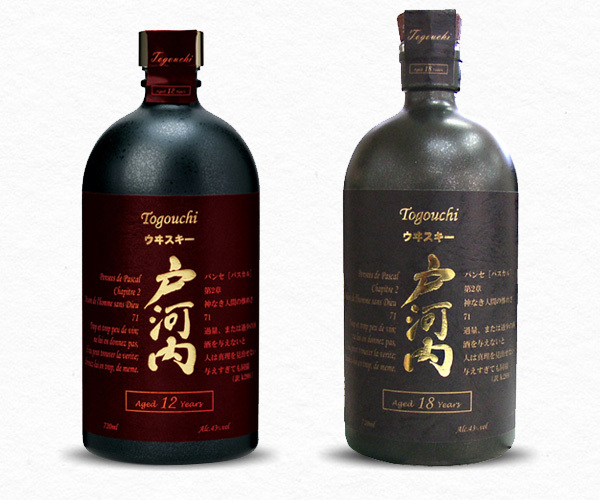 Finally, Togouchi is a naturalized japanese blend with the specificity of being aged in a tunnel, which earned him to be among the most unusual whiskies from Japan. Our Company Woltrix Trading Corp was born in 1993 out of the effort of our founders, fully aware of the opportunities for luxury products distribution existing in the Uruguayan market. Our commitment is to cater to the needs of the existing selective and demanding segment of the Uruguyan public by delivering fragrances and skincare with personality and quality matching their lifestyle. As we got to know better the needs of our target audience we put more and more effort into selecting new products that would adapt best to the tastes and preferences of our customers – loyal but at the same time demanding and requiring high quality standards and exclusivity. Nowadays we are present in the most importants free shops, in the border with Brasil providing our customers with the best products in personal care.At this moment we are interested in amplifying our portfolio of suppliers in alcoholic beverages from Japan, because of the high demand of Japanese living in Brazil. The Japanese population in Brazil is estimated at 1.5 million, and is the largest Japanese population outside of Japan. * Distribution of alcoholic beverages in all free shops of the border with Brasil. * Marketing of alcoholic beverages by means of presentations, promotion actions, sales support etc. in the best stores of the country. Bring to the market alcoholic beverages to deliver value to our customers in an efficient, sustainable and profitable way. To be successful and recognized as a prestigious organization based on quality and innovation of our products and services. we love your products and would certainly like to stock them in the UK, do you have a distributor I can go through or do I come direct?